One of the fun things about heading off to fan conventions such as Bouchercon is the chance to meet all sorts of interesting people. I don’t know a lot of people who get into clothing construction like I do, so when I stumbled across Greta McKennan, who was wearing a tape measure around her neck, I knew I’d met a kindred spirit. Not only that, she writes just the kind of mystery I like. Better yet, she was kind enough to write this up at the last minute. 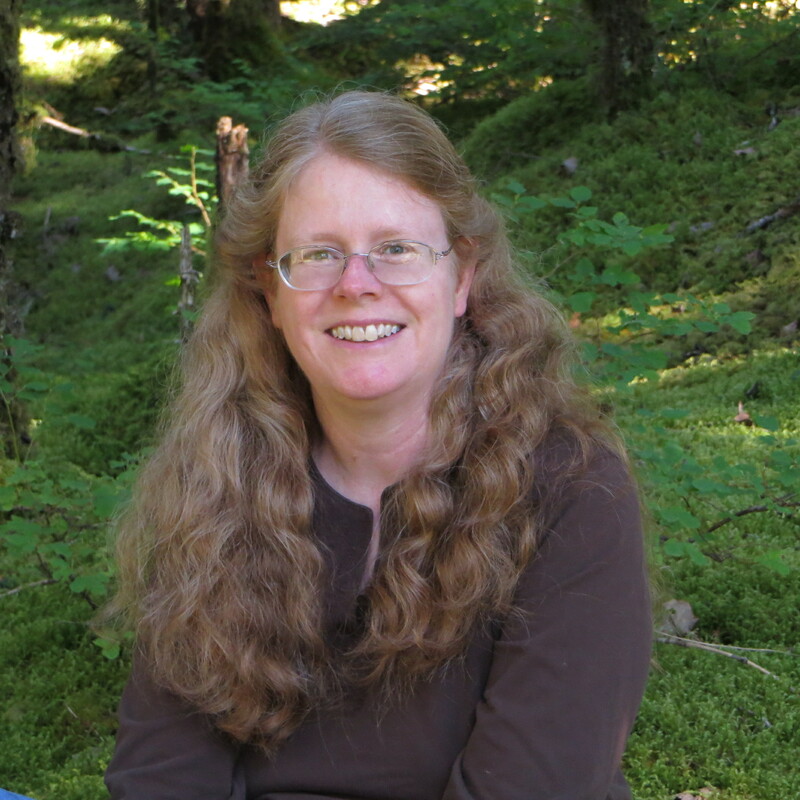 Many thanks to Anne for inviting me to write this guest blog today! We met at Bouchercon—she recognized a fellow sewer by the tape measure around my neck, an unexpected sight at a mystery convention. I’m excited to have the chance to share some thoughts on her blog! One of the best things about writing is getting to live vicariously through your characters. You know that thing you’ve always wanted to do but have never done? Your character can do it! In my case, I write about a historical seamstress, Daria Dembrowski, in my Stitch in Time cozy mystery series. Daria is a lot like me, but she gets to do all the fun things that I might not do. Daria lives in a big house in Pennsylvania with two roommates: her older brother Pete, and Aileen, the lead singer in a metal band, the Twisted Armpits. She sews for a living: the bread-and-butter custom wedding gowns, as well as her specialty, historical sewing. At one time in my life, I lived in a big house in Pennsylvania with four roommates and worked in a bridal shop sewing wedding gowns. My timing was perfect since I got engaged while working there. I learned a lot of tricks that came in handy when making my own wedding gown. If not for that job, my wedding dress would have had a zipper in the back. Instead, I learned how to make satin buttons with loops for a much more elegant look. I grew up sewing period clothing for my dolls, which were often the March sisters or the Ingalls family in my games. In college, I majored in History and worked in the theater costume shop. Daria’s black Singer sewing machine with the gold tooling that only sews in one direction is directly based on my own sewing machine that once was my grandmother’s. I love that machine! I can change the belts and do my own maintenance without worrying about computer chips. I’ve done a lot of sewing in my life, but Daria’s got me beat. 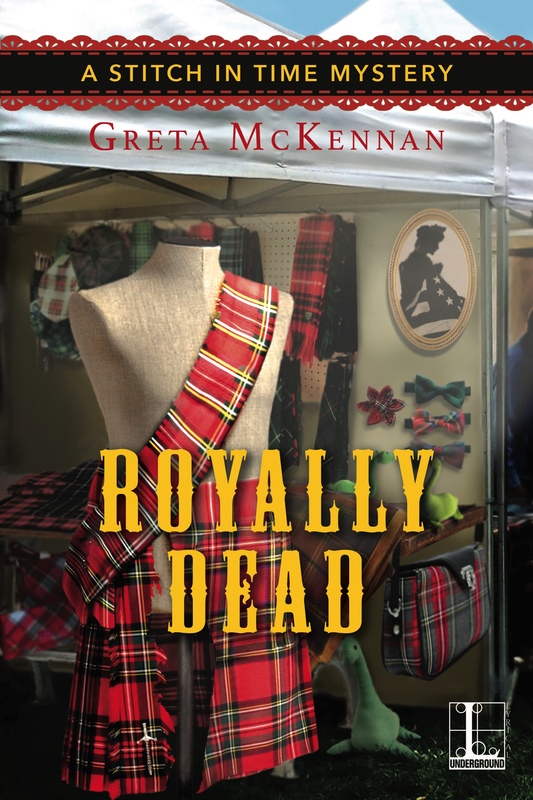 She not only designs and sews wedding gowns, but she makes a Confederate uniform coat for a Civil War reenactor in Uniformly Dead, she sews authentic eighteenth-century dresses for two elderly women who are restoring their home to its original condition for a TV reality show in Historically Dead, and she tackles a Scottish kilt in my new release, Royally Dead. Personally, I have never made a kilt, although my husband has been known to wear one while playing the bagpipes. I did make a pleated skirt once, and I agree with Daria that pleats are very, very hard. There is one aspect of Daria’s life that I hope I never experience. She is one of those unfortunate people who seem to stumble over dead bodies on a regular basis. Her innate nosiness and sense of justice lead her to try to solve the crimes that she encounters, with great success. Daria and I have a lot in common, and I enjoy hanging out with her when I’m writing my mysteries. I hope my readers like to spend time with her as well! Thanks, Greta! You certainly have more skill than I have, but what fun. Royally Dead is available at Barnes and Noble, and at Amazon.